When it comes to paying your employees, the simpler and more efficient you can make the process the better for everyone involved. One method of paying employees that has grown in popularity over the years is the implementation of direct deposit. 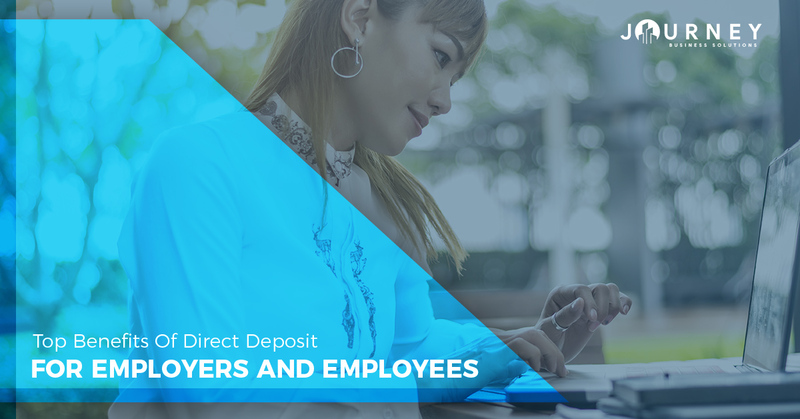 Rather than cutting a physical check for employees on payday, direct deposit allows you to simply transfer money into your employees’ bank accounts. This process offers an array of perks that benefit both the employer and employee. As a Fort Worth payroll services specialist, we provide an array of options for improving your payroll process. Check out the following benefits of switching over to direct deposit and contact us to learn more about how we can help you implement this streamlined approach. When it comes to direct deposit, employers gain a lot of the benefit. This process is far simpler than cutting physical checks and allows for efficiency in the payroll process. The following are a few of the main benefits that you will gain as an employer if you implement direct deposit. If you have a scattered work team, perhaps including a few remote employees, direct deposit will make payroll simple. Rather than mailing paper checks to distant employees, you can pay everyone at once without any extra effort. You can also handle payroll if you yourself are on the go without needing to access a printer. Processing payroll can truly be done from anywhere. Another benefit to you as an employer is that you will cut down on the money you spend paying your employees. Printing paper checks might not seem like a big cost when you are only paying a few employees, but as your business grows, the paper and ink can add up. Utilizing direct deposit saves you money while also benefiting the environment. One of the major benefits of direct deposit is how much time it will save you when running payroll. Printing off checks and delivering them to employees can be a time drain. Utilizing direct deposit makes it simple and fast to pay your employees. This makes it much easier to scale up as your company grows. Employers aren’t the only ones to benefit from direct deposit, employees will gain an array of perks too. Most employees, if given the chance, will gladly switch over to direct deposit. By simply gathering some information from new hires or existing employees, you can offer them the following benefits. One benefit that most employees love about direct deposit is that they have immediate access to their money. Once you run payroll, the money is dumped into their account and they can utilize it. This saves your employees the hassle of depositing a check with their bank and waiting for the money to be accessible. When you print off checks, your employees have to keep track of that check before they deposit it with the bank. During this process, it can be easy to misplace or lose a check. Lost checks delay the time before your employee can access their money and can mean that you now have to take the time to reissue a new check and void the first one. Direct deposit makes it impossible for a check to be lost. If your employees have more than one bank account, they can easily divide their paycheck with direct deposit. 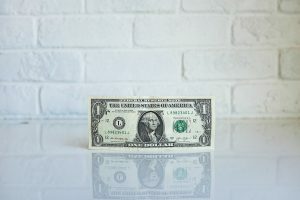 It is simple to set up a deposit into as many accounts as your employee wants rather than going through the hassle of depositing a check into one account and withdrawing or transferring money. This can help your employees create a better plan for savings and overall money management. If your business is still cutting paper checks, it might be time to make the switch to direct deposit. This will allow you to enjoy a fast and simple payroll process while your employees gain the benefit of faster access to their paychecks. If you want to switch to direct deposit, the process is simple. Here at Journey Business Solutions, we offer an array of payroll services, including the ability to implement direct deposit into your business. By setting up your payroll services through us, you can access everything from direct deposit to automated payroll services. Want to improve your payroll process? Reach out today to learn more about how we can help you upgrade your payroll services, leaving you with more time to focus on running your business and improving your profits. We look forward to streamlining payroll for your company.